Archadeck of Columbus gives our review of TimberTech Evolutions – 2 thumbs up!! 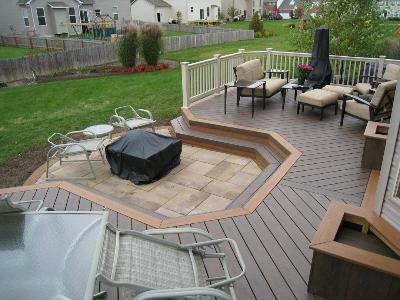 Archadeck of Columbus discusses the pros and cons of TimberTech XLM and TimberTech Earthwood Evolutions in helping Columbus area homeowners decide which product is the right fit for their new deck or redecking project. 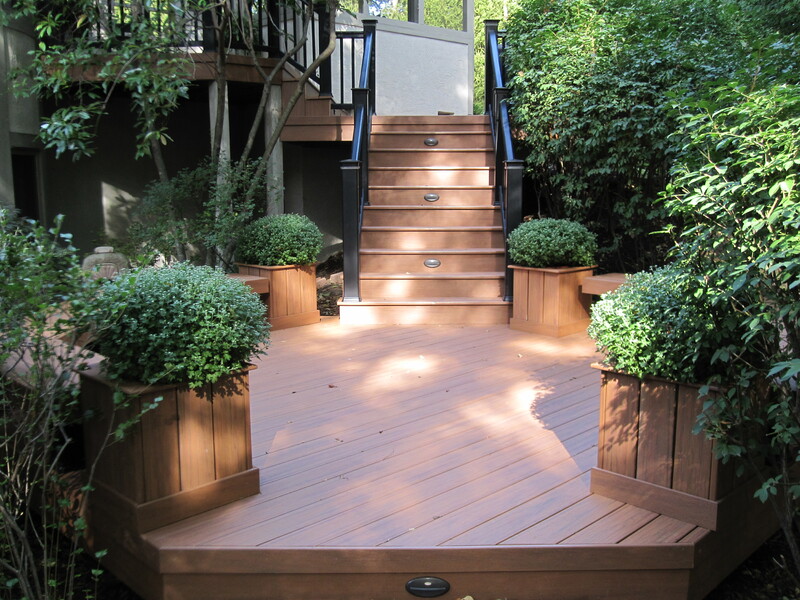 This deck uses two shades of the Earthwood Evolutions tropical line, Teak and Walnut, to add more visual interest to this stunning deck. 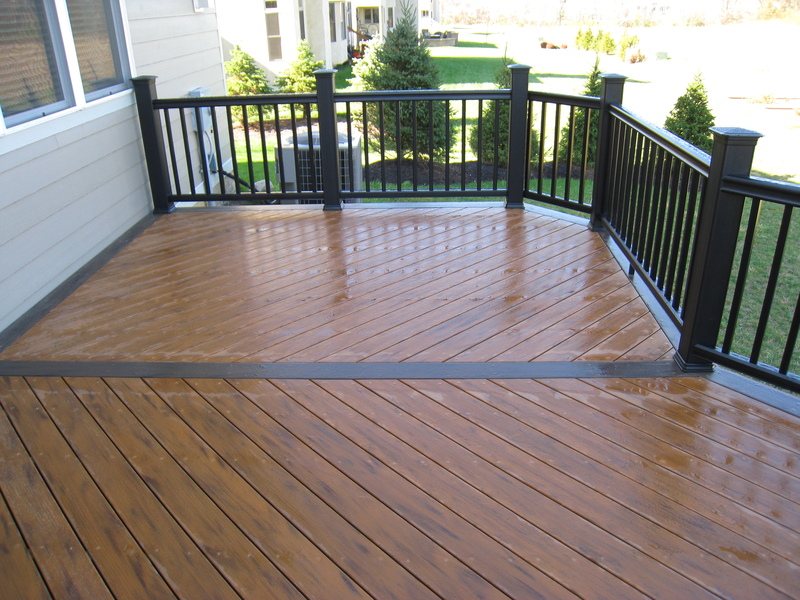 In our line of business we have seen a wide range of synthetic decking materials come and go over the years. 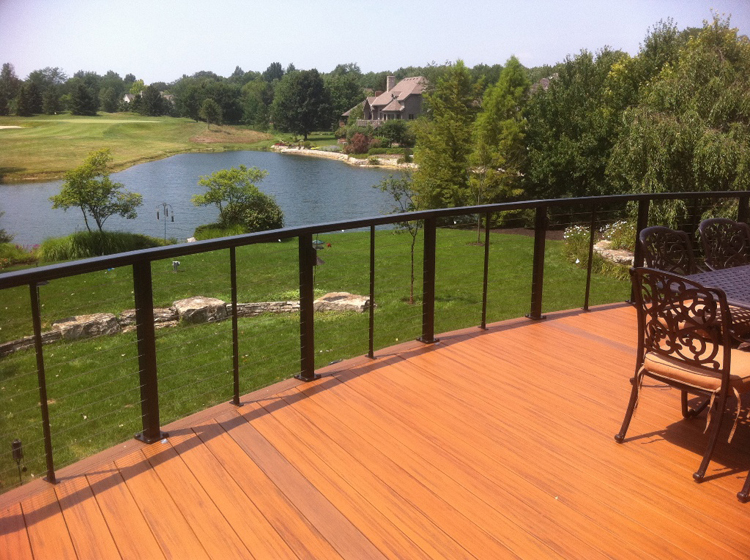 Over the past several years synthetic decking materials have evolved past the traditional composites giving us product lines that perform better and look the part too. 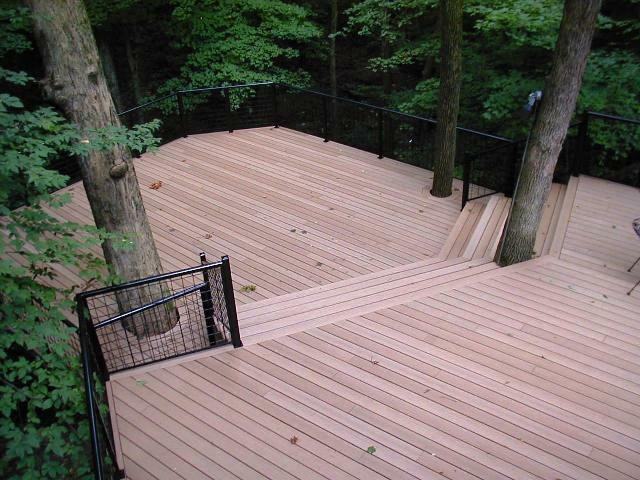 TimberTech is one of the leaders in this decking evolution. Their introduction of TimberTech Earthwood Evolutions and TimberTech XLM have changed the way many of us think of the synthetic decking arena. Archadeck of Columbus uses both Evolutions and XLM. With our experience, we wouldlike to share about how each perform. Now that TimberTech Evolutions and XLM have been out for a couple of years, we have placed enough down to provide feedback and the long term pros and cons for both product lines. In case you aren’t familiar with the components of Evolutions and XLM, though both are synthetics, each is different in their general makeup. TimberTech XLM is a solid PVC product with a PVC foam core and PVC cap. Evolutions is what is referred to as capstock composite. 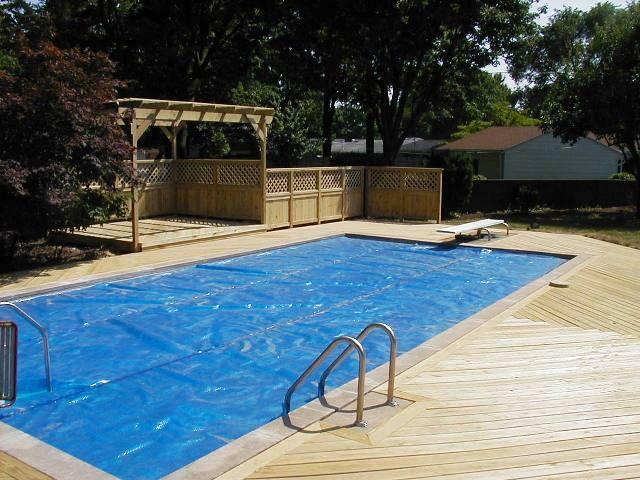 Capstock consists of wood and plastic composite core wrapped in a PVC cap that extends around the entire board. 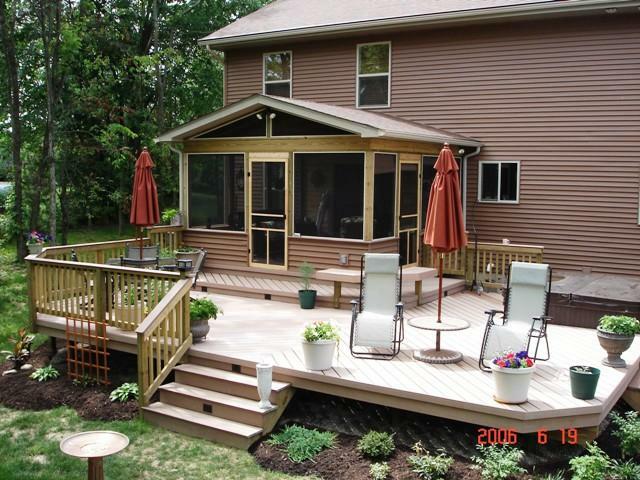 This deck in Powell ,OH is built with TimberTech XLM Harvest Bronze. 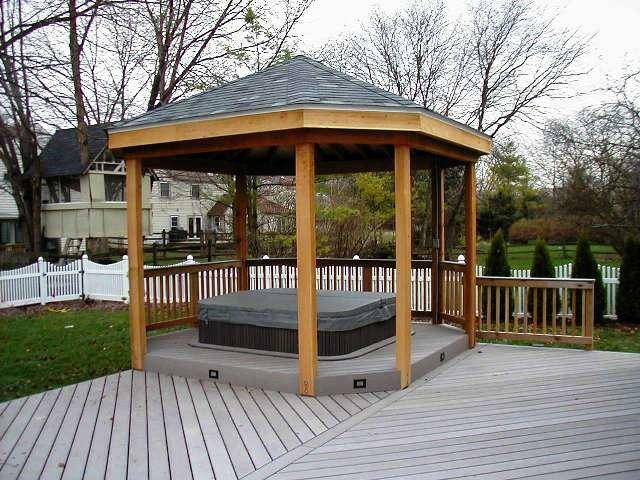 Because XLM is solid PVC, it is non-porous meaning dirt and grime cannot penetrate the boards. XLM performs really well in most outdoor structure installations. 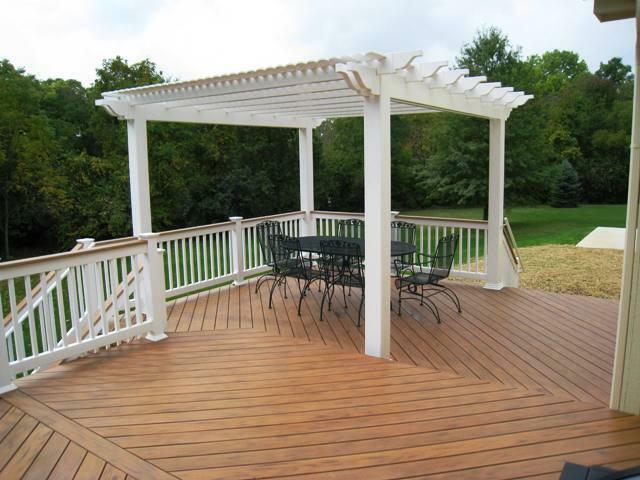 Any of your solid PVC materials are going to have a higher price point than other low-maintenance decking materials. The negative side of XLM is of course, the higher price, but also that the material is very pliable. Because of the pliable nature of XLM there is an expansion and contraction that takes place when the product gets hot which can cause slight waving of the product. I like to explain the waving like that of a rubber band that becomes even more pliable when heated. Add XLM’s pliable nature to the fact we are attaching it to wood, which already has a tendency to move, and that is the scenario you may be faced with. For most homeowners choosing to use XLM it is not a big deal, but we alert them of the possibilities of this happening. 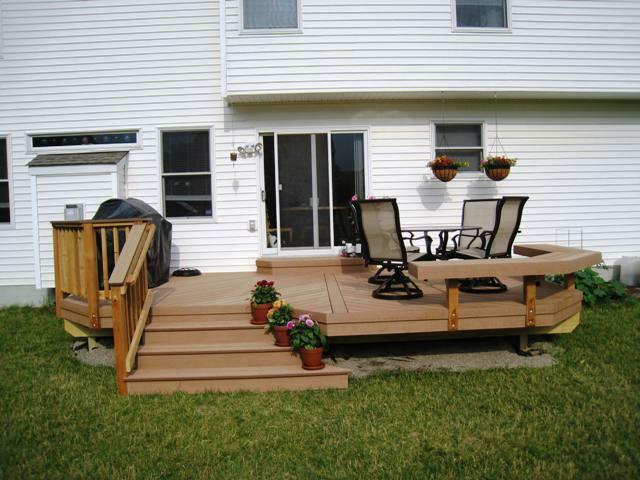 This deck is built using TimberTech Evolutions. In our opinion, Evolutions is a much stronger product than XLM because it has a wood/plastic core and is not as pliable as XLM. There is no risk of the product becoming wavy in the future. Evolution’s performance is just as good as that of its solid PVC counterpart XLM, because it too cannot be penetrated by dirt or grime. This product comes in a wide range of color choices from the hues usually only seen in tropical hardwoods to traditional natural wood colors. Evolutions is also moderately priced in comparison with XLM. 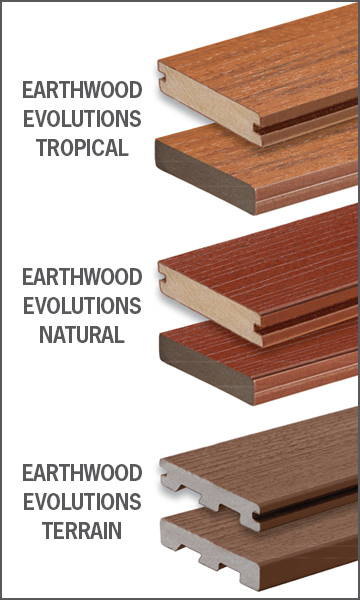 TimberTech provides a 25 yr. no fade, no stain warranty on their Evolutions line along with the 25 yr. warranty already provided in their entire product line which covers against bulging, splitting, cracking and board defections. To better show you how Evolutions stands up to normal wear and tear I allowed my sons to experiment with a few of the Evolutions decking boards. 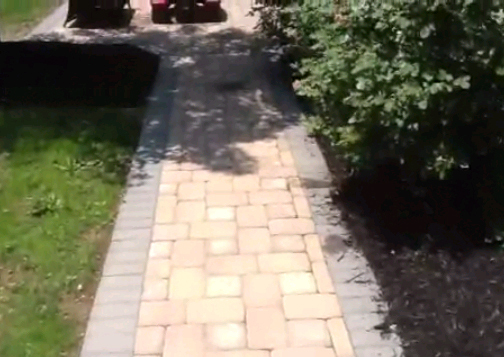 They had a really great time doing it and this demonstration speaks volumes about how the product would perform under normal everyday conditions on your deck. If it can get past Jake and Kyle, it can get past just about anything! This chart shows the profile difference of the new Terrain line compared to the Natural and Tropical line of Evolutions. Archadeck of Columbus has installed close to 200 projects using Evolutions, and we have not had one problem. This proves the integrity and quality of the product. In addition to XLM and Evolutions, TimberTech introduced a new line of synthetic this year called TimberTech Evolutions Terrain. Terrain debuts a different profile to their board in this line which comes in two neutral colors; Silver Maple and Brown Oak. 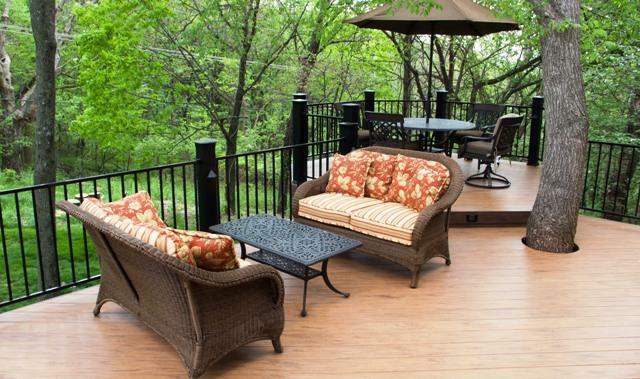 Terrain is the least expensive product in TimberTech’s line of decking and should prove to be a winner in the years to come. 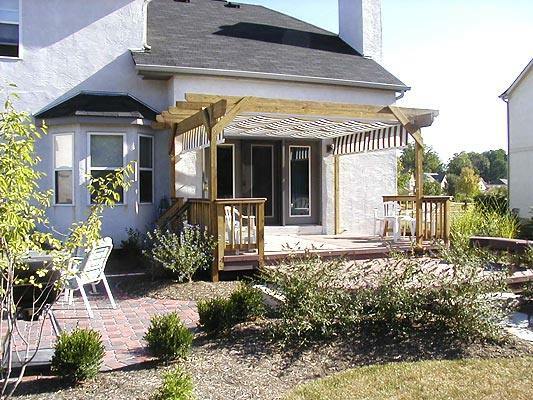 If you foresee a deck in your future and like the idea of having a stunning space with low-maintenance benefits, contact Archadeck of Columbus to learn more about the TimberTech line of quality composites- you’ll be glad you did. 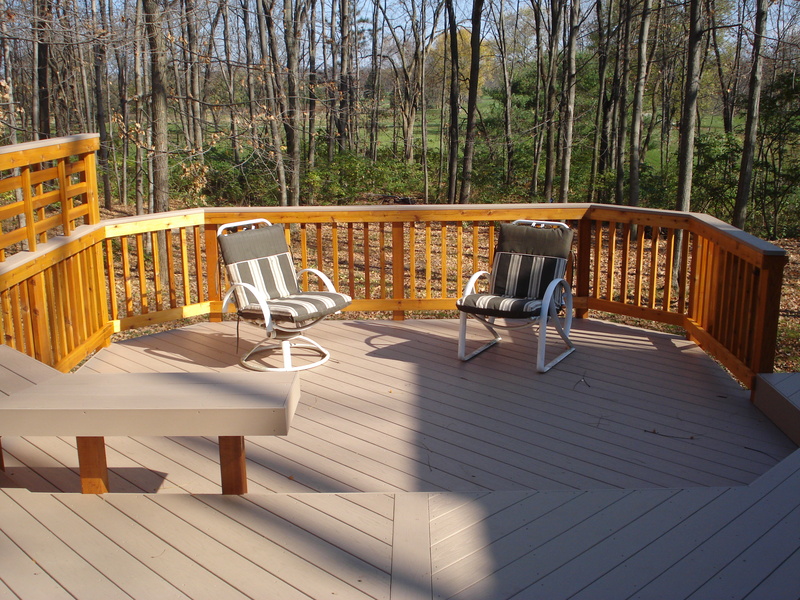 You can visit our decks photo gallery and our composite and vinyl ( PVC ) deck photo gallery located on our website for more examples of decks we have built using TimberTech XLM and TimberTech Evolutions. Author archadeckofcolumbusPosted on July 24, 2013 Categories Timbertech, TimberTech Evolutions decking, TimberTech XLMTags Archadeck of Columbus, Columbus deck builder, Columbus decks, Columbus OH TimberTech decks, Columbus OH TimberTech Evolutions deck builder, Composite decks, decks Columbus, Review of TimberTech Evolutions decking by Archadeck of Columbus, TimberTech deck Columbus, TimberTech Earthwood Evolutions, Timbertech Evolutions Terrain, TimberTech Natural collection, TimberTech Terrain decking introduction for 2013, TimberTech Tropical collection, TimberTech XLMLeave a comment on Archadeck of Columbus gives our review of TimberTech Evolutions – 2 thumbs up!! A product as good as its warranty is worth using. 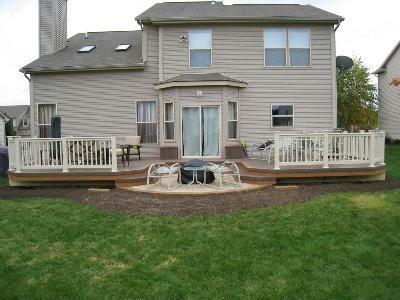 Archadeck of Columbus is a premier TimberTech contractor. 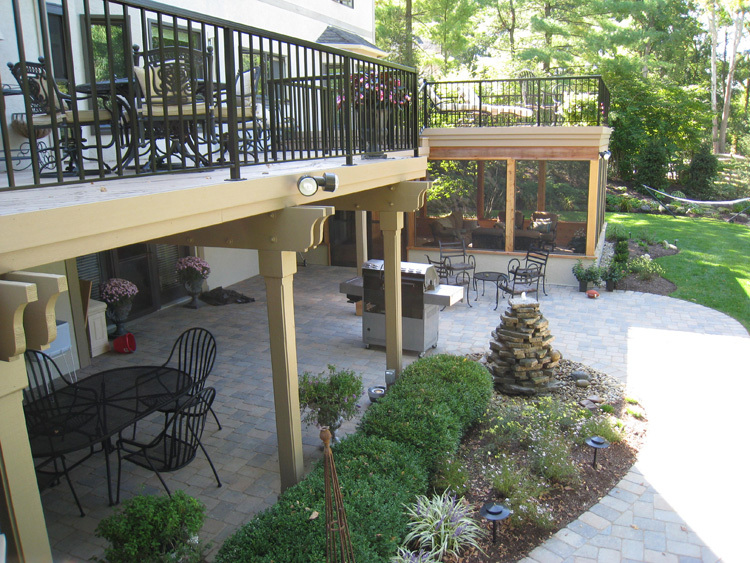 TimberTech stands behind it’s product when it comes to quality beauty and warranties that far exceed your expectations. Hopefully even though you are reading this you haven’t had to experience the process of filing a warranty claim when a product didn’t perform as anticipated. If you have had to file a warranty claim, you probably realize that most warranties cover product replacement only and not labor. Archadeck of Columbus urges homeowners to be cautious and become familiar with the warranty of a prospective product before you make the investment. Many times, the fine print reveals the truth. 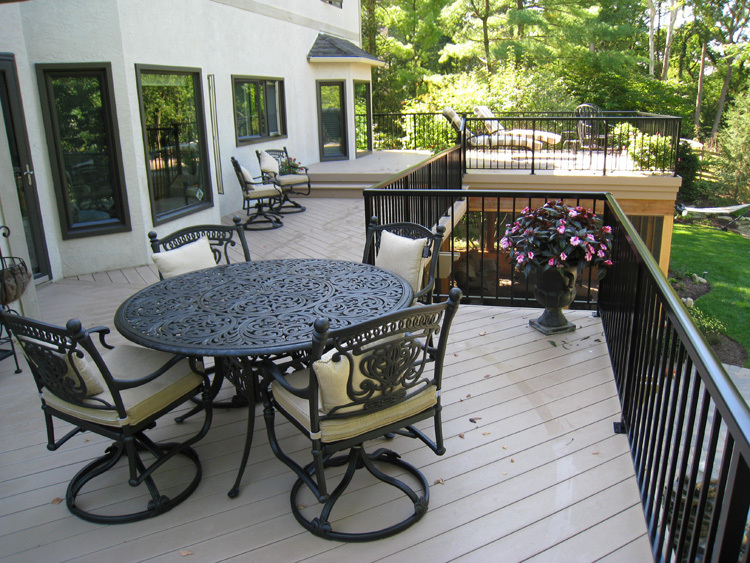 When it comes to above average warranties in the world of composite and PVC decking, TimberTech has some of the longest and best warranties in the business. 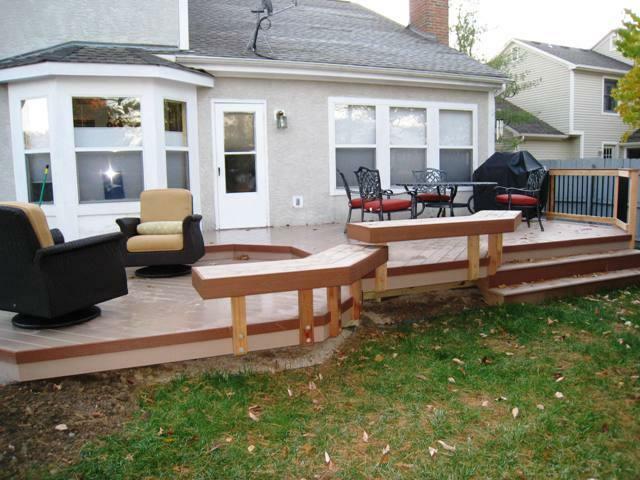 Archadeck is a premier contractor of TimberTech and we enjoy their warranty which includes product replacement with labor included. TimberTech deck built by Archadeck of Columbus. Being a premier contractor has it’s advantages. 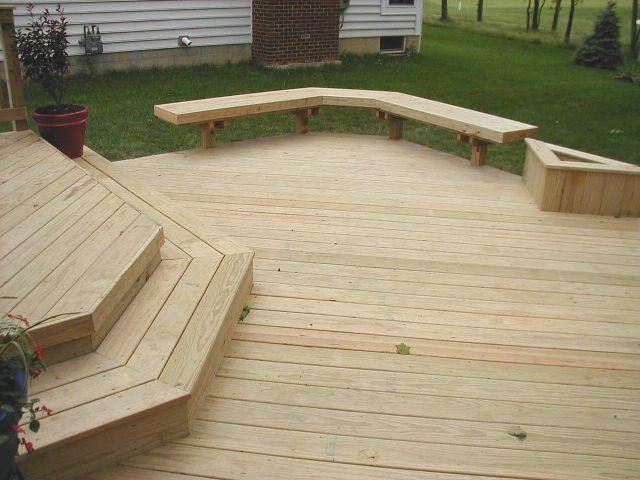 TimberTech and Archadeck have an exclusive agreement where the cost of replacement is not passed onto the customer. 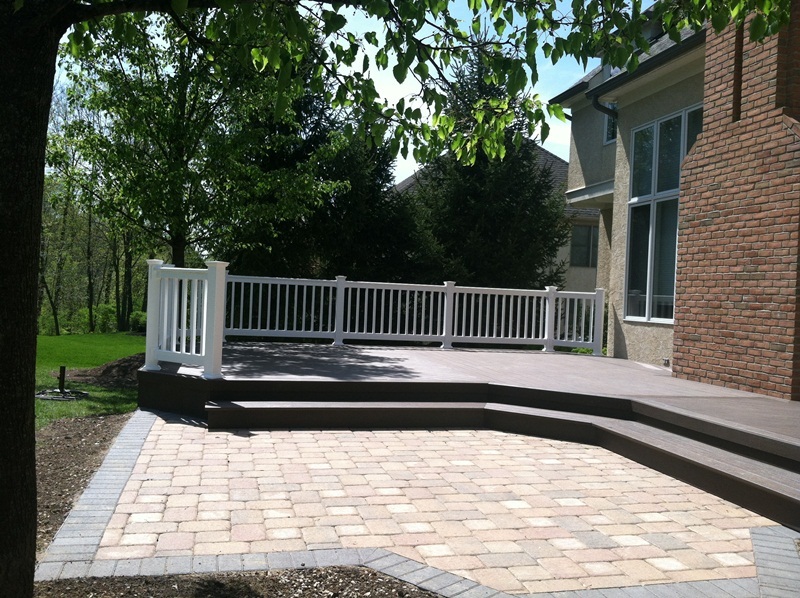 In today’s rough economic climate this breathes fresh air and confidence into the minds of consumers straddling the fence as to what decking material to choose for their new deck, and what contractor to use to build it. The answer is clear, Archadeck of Columbus and TimberTech. The reason TimberTech offers this agreement and some of the longest and best warranties in the business is because they offer a quality product that they have the utmost confidence in offering to consumers. With any manufacturing, there can always be defects, or the chance thereof. 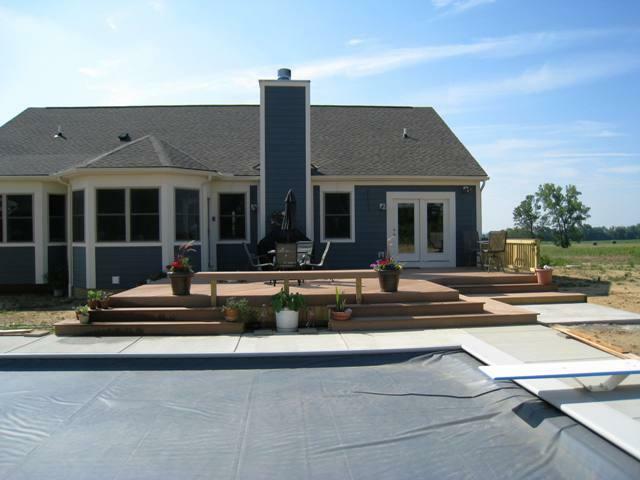 With building products such as composite or PVC decking manufacturers they will replace the material, but the vast majority will not include the labor. Have you ever had a problem with the warranty on a product? Warranties can be a big headache and companies usually make you jump through hoops in order to receive what you deserve. TimberTech is a horse of a different color, they stand behind their product every step of the way. Case in Point, we have a really large job we are working on. We had a batch of decking that was off-color. Color inconsistencies can sometimes vary from batch to batch, just like carpet and dye lot numbers. 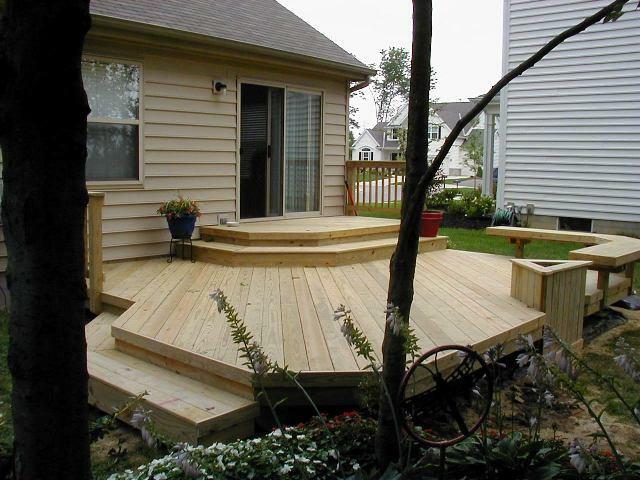 The stickler was that most of the decking was already completed. No problem , TimberTech came out and replaced the boards already down and paid labor. They actually had their quality control manager drive 1 and 1/2 hours to our job site to take care of the problem, not only was this an example of curb service customer care at it’s best, it kept the homeowner from being put into an uncomfortable and troubling situation. Author archadeckofcolumbusPosted on August 30, 2011 December 14, 2011 Categories Composite Deck Builders Columbus OH, Composite decks, Deck Builders Columbus Oh, Deck Builders Columbus Ohio, Deck Construction Columbus Oh, Deck Construction Columbus Ohio, Decks, Decks Columbus Oh, Decks Columbus Ohio, Multi-level decks Columbus, Re-decking, Timbertech, TimberTech Evolutions decking, TimberTech XLMTags Archadeck of Columbus, Columbus decks, composite decking, Composite decks, Decks, decks Columbus, outdoor living, Timbertech, TimberTech deck builder Columbus OH, TimberTech deck Columbus, timbertech decking, timbertech decks, TimberTech Earthwood Evolutions, TimberTech Evolutions, TimberTech XLM2 Comments on A product as good as its warranty is worth using. Author archadeckofcolumbusPosted on August 17, 2011 December 14, 2011 Categories AZEK PVC decking, Composite Deck Builders Columbus OH, Composite decks, Cost versus Value, Deck Builders Columbus Oh, Deck Builders Columbus Ohio, Deck Construction Columbus Oh, Deck Construction Columbus Ohio, Decks, Decks Columbus Oh, Decks Columbus Ohio, Fiberon Horizon decking, Low Maintenance, Maintenence of Wood Decks, Quality construction standards, TimberTech Evolutions decking, TimberTech XLMTags Archadeck of Columbus, Azek Decking, Azek decks, Columbus decks, Columbus OH synthetic decks, composite decking, Composite decks, Decks, decks Columbus, fiberon, fiberon decking, fiberon decks, PVC Decking, Synthetic decks Columbus OH, TimberTech Earthwood Evolutions, TimberTech Evolutions, TimberTech XLMLeave a comment on Top 5 Reasons to Build a Composite/Synthetic Deck by Archadeck of Columbus. There are multiple benefits to a low-to-grade as we will write about in the next blog post. 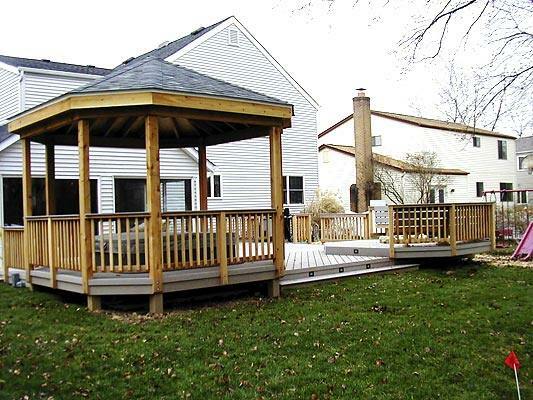 We have quite a few photos for design ideas so we wanted to share a photo gallery for inspiration if you’re considering a low-to-grade deck. 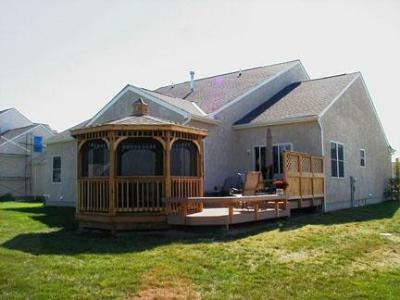 Columbus low to grade TimberTech composite deck multiple levels and Gazebo for hot tub. Can two young Columbus boys damage TimberTech Earthwood Evolutions and/or TimberTech XLM? How much damage can two young boys do with 2 hammers, 2 wire brushes, chalk and mud? Watch their valiant effort.